Connect your story, to the amazing story of the North Dakota Badlands. 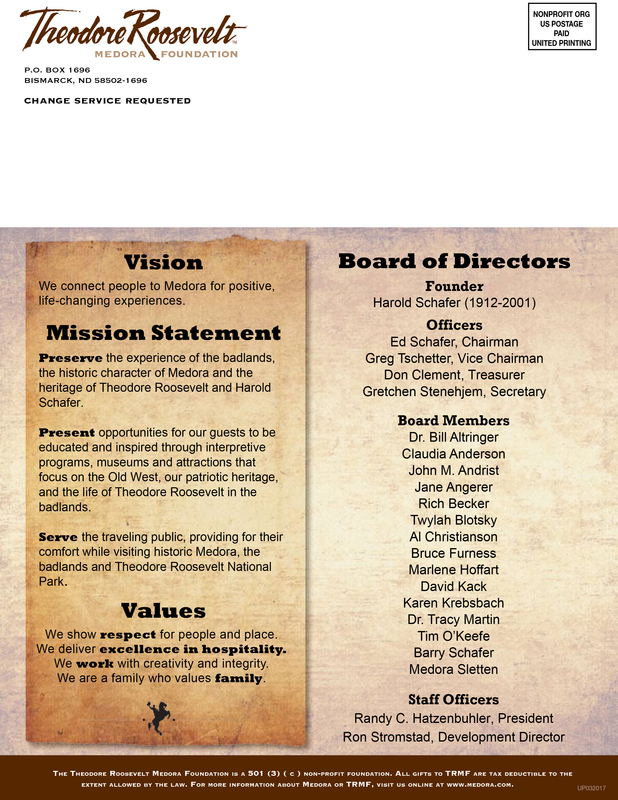 Again in 2018, businesses from around the region can join the hundreds of thousands that make Medora their tradition every year, by becoming a Theodore Roosevelt Medora Foundation Business member. The magazine will host the first-ever ELEVATE conference in Medora, North Dakota on September 6-7, 2018. (Medora, ND) – The Theodore Roosevelt Medora Foundation (TRMF) announced today that a new short documentary titled “Being TR” will have a pre-release screening this Tuesday at the North Dakota Heritage Center with the filmmaker, Samuel Sprynczynatyk. In addition to the screening, TRMF will announce a good-will tour to France, led by Medora’s TR, to celebrate the life and death of President Roosevelt’s youngest son, Quentin, who perished 100 years ago while fighting over the battlefields of WWI. Members of the public and media are invited to join the event to see the screening, hear remarks from the filmmaker and Theodore Roosevelt. 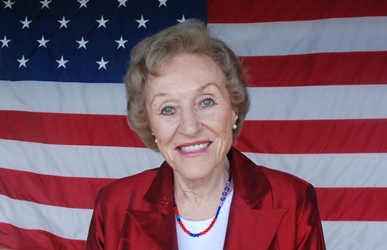 The short documentary was shot late in the summer of 2017 by Samuel Sprynczynatyk, his significant other, Medora, and in collaboration with Joe Wiegand and TRMF. The short has been entered in film festivals around the region, and after Tuesday’s first-public screening, it will be released more broadly. On July 14, 1918, Bastille Day, Lieutenant Quentin Roosevelt, U.S. Army Air Corps – 95th Aero Squadron and youngest child of President & Mrs. Theodore Roosevelt, made the ultimate sacrifice for French freedom, while flying during the final months of World War One. Had Quentin returned from his morning mission, he would have been in charge of music for a local Bastille Day celebration. Exactly 100 years after Quentin’s death in battle, the Theodore Roosevelt Medora Foundation will send a troupe of American musicians and actors on a performance pilgrimage to France, to play the music and salute the friendship of the people of France and the United States. The troupe and TRMF are currently accepting contributions to help fund the tour, with over $6,000 raised of a $20,000 goal. 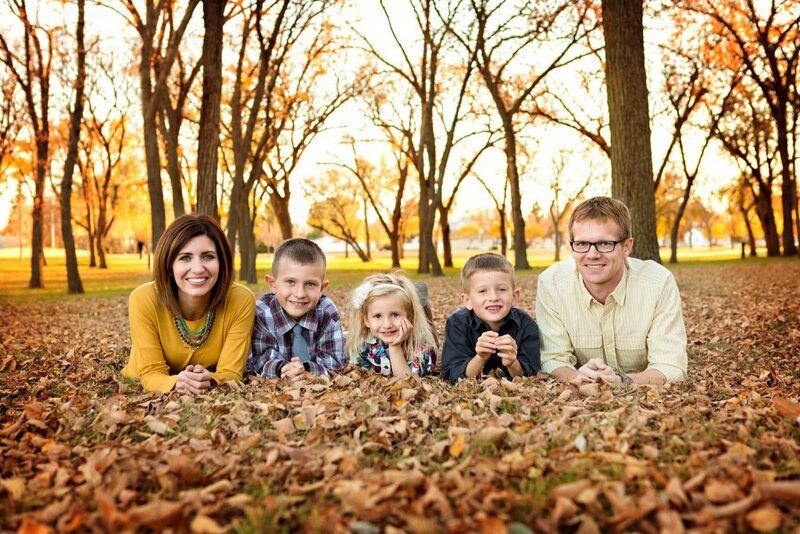 Samuel is an Award Winning Independent Documentary Filmmaker in North Dakota whose passion is telling stories and capturing moments with a visual and emotional beauty. He has been working in film for over 10 years and have had experience in most every style of filmmaking. He is a one man band and has been self taught — handling each film project from start to finish, from pre-production all the way to the final color grade. He brings a very naturalistic style to his filmmaking. He strives to tell stories that make a difference in this world. The Theodore Roosevelt Medora Foundation (TRMF) is a public non-profit organization that was formed in 1986 by a multi-million dollar gift from Harold Schafer and his family – most famously known as the founders of the Gold Seal Company, the maker of Mr. Bubble, Glass Wax and other nationally-known household products. For Harold, the beauty and history of Medora and the Badlands was just too much to let disappear with the sands of time – so he made it his life’s work to save it for generations to come. 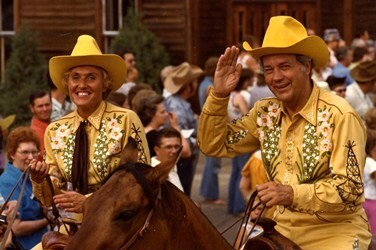 He began his labor of love in 1962, revitalized what we know today as the Medora Musical in 1965. 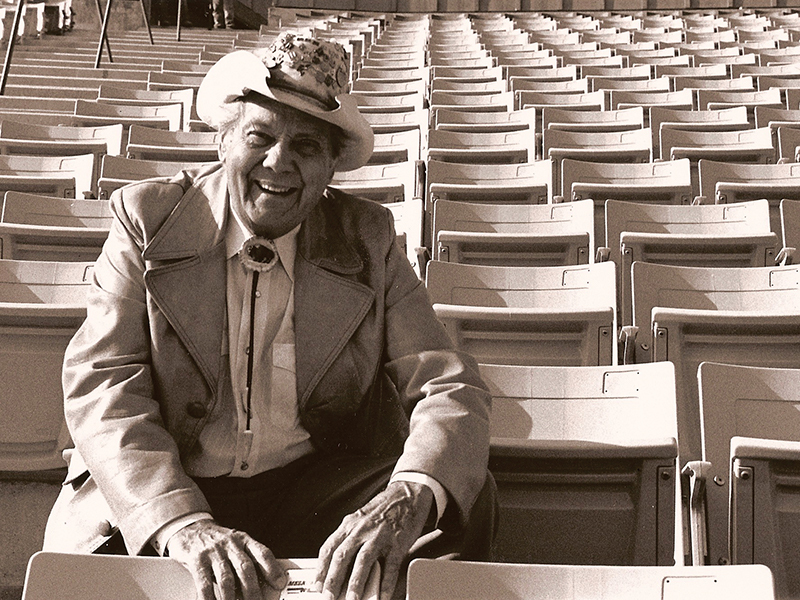 Harold continued giving to the historic cow town frequented by Theodore Roosevelt, the Marquis de Mores, and many-a rough-and-tumble westerner until his passing in 2001. Today, we at TRMF strive to accomplish its mission to preserve, present, and serveall that Harold loved about Medora by operating history, education, entertainment businesses that allow the traveling public to fully enjoy the beautiful North Dakota Badlands. Through the contributions and teamwork of a board of directors, a full time staff of 45, 300 seasonal employees, over 500 seasonal volunteers, and financial backing from generous supporters, TRMF connects people to Medora for positive, life-changing experiences. There’s a brand new Medora lodging facility awaiting our guests this summer! 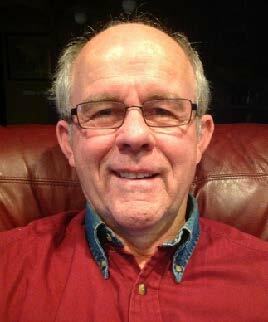 The Elkhorn Quarters, our new motel and seasonal staff housing complex, has replaced the old Bunkhouse trailers, and a big reason for that is the generosity of our longtime supporter Greg Butler of Fargo. A couple of Bismarck friends were out bicycling on the Maah Daah Hey Trail, just south of Medora, one hot summer afternoon when they noticed a sign that said “Lots For Sale.” The billboard was advertising locations for Badlands homes being offered by TRMF in the Sully Creek Subdivision. A lightbulb came on. Like Teddy’s original Rough Riders, Annual Members move the line forward each year to make Medora better for current and future generations. The TRMF Annual Member program began a few years ago to bring our frequent visitors and best friends into a group that met once a year at the annual Rough Riders Roundup, talk about the future of Medora, and help support the day-to-day activities necessary to provide all our guests a great getaway experience. Who will be our 2018 Burning Hills Singers!? 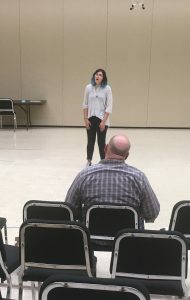 This weekend two of North Dakota’s largest cities were full of singin’ and boot swingin’ for performers auditioning to be part of this summer’s Medora Musical. Producer/Director, Curt Wollan, of StageWest Entertainment, kicked off the audition tour in Bismarck and Fargo, giving North Dakota natives a chance to audition for the show, which entertains over 100,000 people per summer and has welcomed over 4 Million guests since 1965. 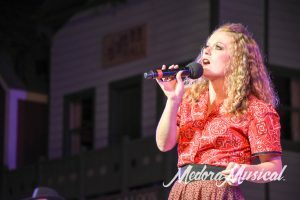 Each year around 1,000 singers and dancers from around the country audition for the Medora Musical. 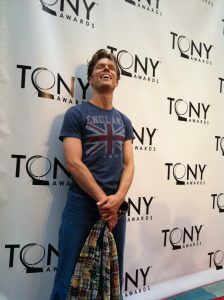 Performers who are selected bring exceptional vocals, energetic dancing and big personalities to the show. That’s why, finding talent right here in our own backyard deserves a good ‘ol hoot and hollar! A number of North Dakota natives who’ve made the cast over the years, have then gone on to very successful careers in the music and performing industries. 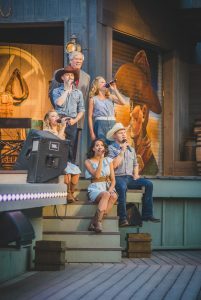 Often, they credit their time performing alongside the rest of the all-professional cast of the Medora Musical as a shaping experience — one that showed them the hard work, ever-improving talent, and perseverance needed to be successful in the business. Jared “Yodel Boy” Mason, who went on to star on Broadway’s Million Dollar Quartet, Stomp! 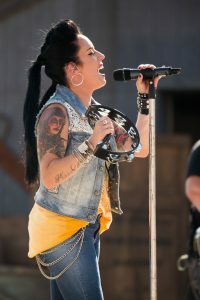 and other shows, and of course, most recently, Scranton’s own, Kat Perkins, went on to be a finalist on NBC’s The Voice after a five-year run as a Burning Hills Singer. And these are just two of the stories of performers who got their start at an audition for the Medora Musical. 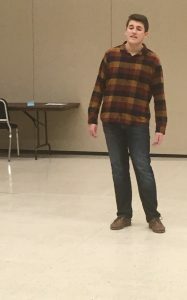 The Bismarck auditions brought out a good, talented group — and the performers had a lot to say! Check it out. It was great to see previous Burning Hills Singer, Taylor Leet come out and support performers. 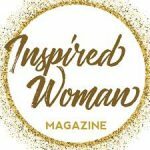 Check out the tips Taylor shared! Former Burning Hills Singer and current Medora Musical choreographer, Lexie Wollan, teaches the steps to a 2015 Medora Musical number. Fargo auditions on Sunday attracted a lot of young talent. Two performers, featured below, attended Kat Perkin’s, Rising Star camp in Medora last summer! 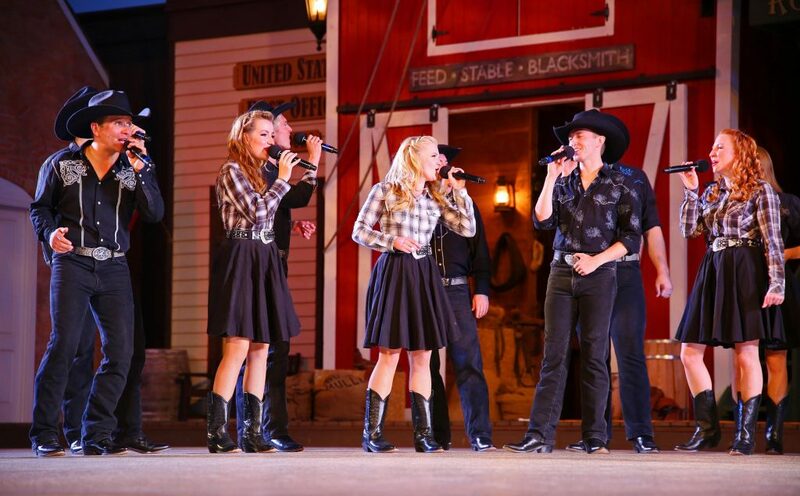 The Medora Musical attracts top-level talent from around the nation. (Sometimes folks have to be told where, exactly, Medora is, but we kind of enjoy their surprise when they arrive for the first time!) The show has a great reputation and the production team is lucky to have create the show with so many stars over the years. It draws performers like the aforementioned, Jared Mason and Kat Perkins. People like Tom Netherton, and David Soul, who after performing in the Medora Musical went on to star in the original Starsky and Hutch. And globe-trotting professional performers like our own “Queen of the West,” Emily Walter, current host of the Medora Musical, Chet Wollan and his wife, Candice Lively-Wollan, whose talent and professionalism serve as a guide for younger cast members each year — some of whom came out of these Bismarck and Fargo auditions. We don’t know who will fill the boots of this year’s cast quite yet, but whatever the final roster is, based on what we saw at auditions so far and the history of Medora Musical talent, they’re sure to be EXCELLENT and they’re sure to help put on an INCREDIBLE show. Additional audition stops include St. Paul, MN, on Jan 22, and Memphis, TN, in early February. This year’s Medora Musical opens June 1, and tickets go on-sale in April. Mark your calendars and start planning your trip to see the Greatest Show in the West!